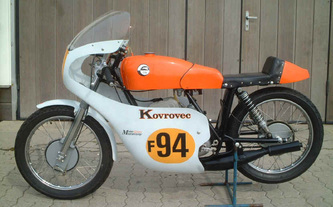 The Kovrovets Sh-K 175 racer is a product of the Degtyarev plant in the city of Kovrov ,Russia. 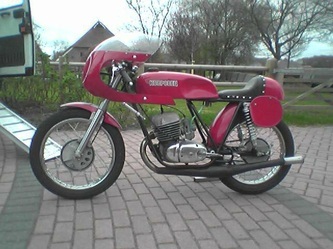 It is the racing version of the "Voskhod" road bikes. 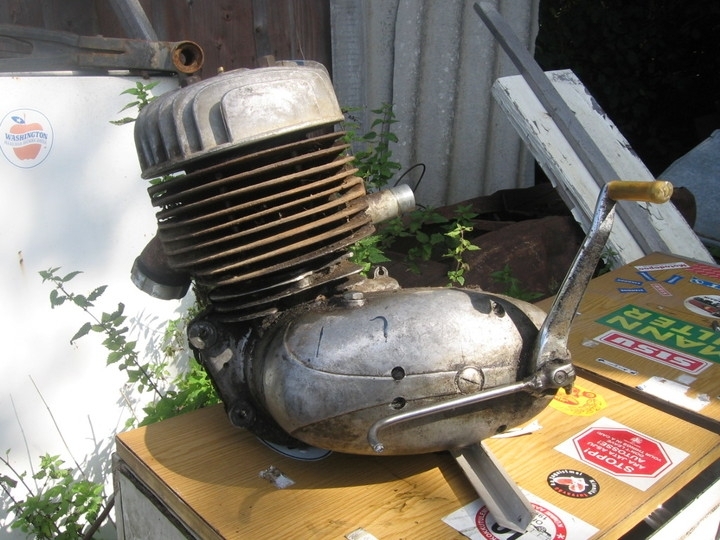 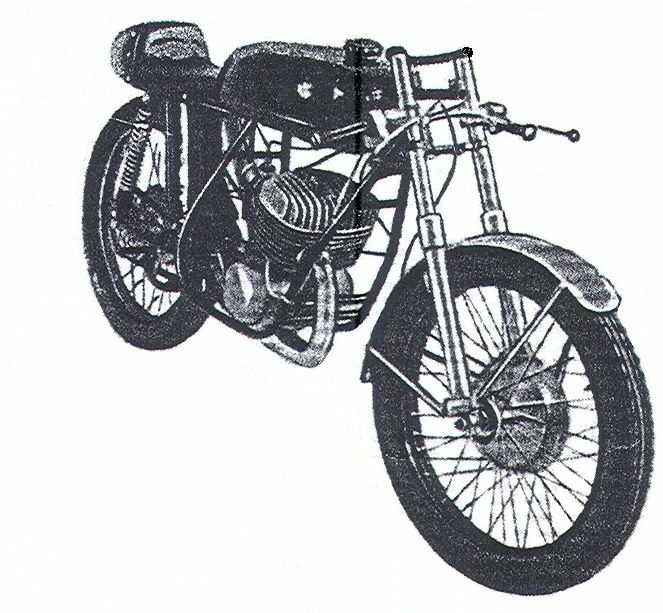 The engine is an evolution of the old DKW RT125. 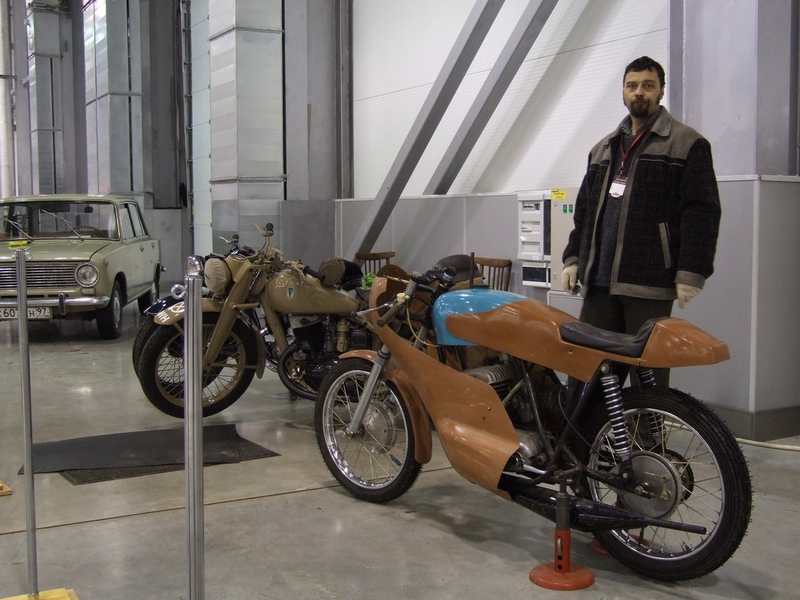 Machines and drawings from this DKW were taken from Zschopau in Germany to the USSR after the war. 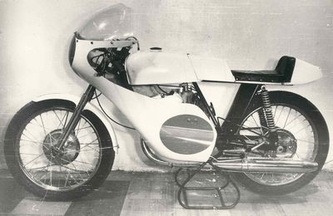 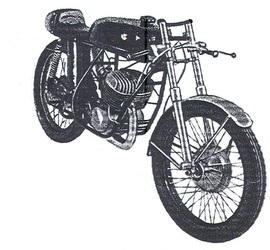 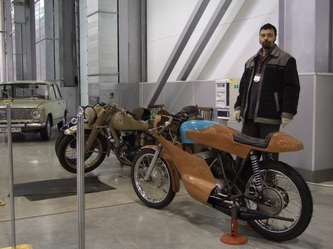 Both Degtyarev plant and Minsk plant were producing DKW RT125 copies for the USSR. 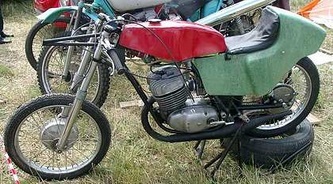 But the Degtyarev plant enlarged it to 175ccm. 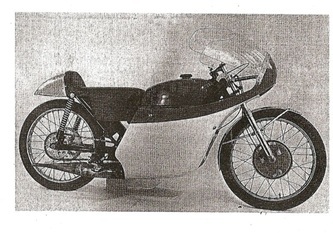 With this engine ,a very simple racebike was produced from the early '60s up to the end of the '80s. The first production version was introduced in 1964 ,and featured a big cast-iron cilinder. From 1967 on the Kovrovets racers have an improved alloy cilinder that is capable of 17-20hp in factory trim. 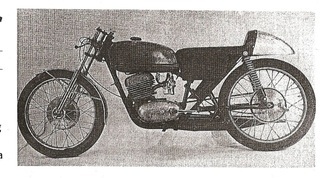 The chassis remained almost the same throughout the years. 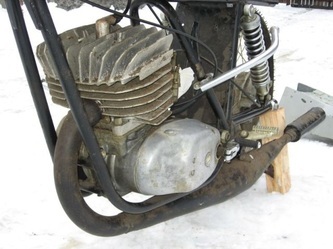 Most significant change is the fuel tank. 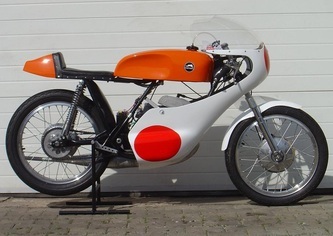 The first versions bear a handmade fuel tank ,the later versions have a short steel tank from the normal roadbike with a sort of "tank-extender"combined with the glassfibre seat. 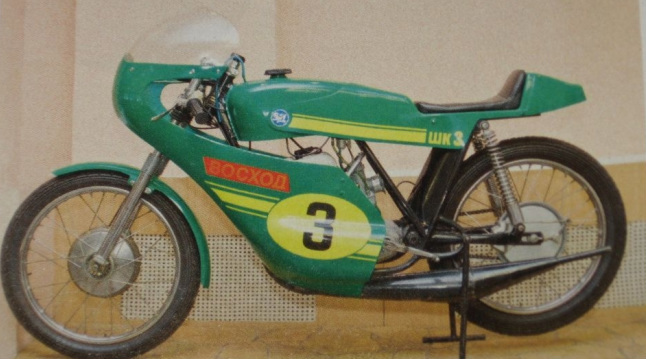 1980 the racers were called Voskhod ,like the roadbikes they derrived from. 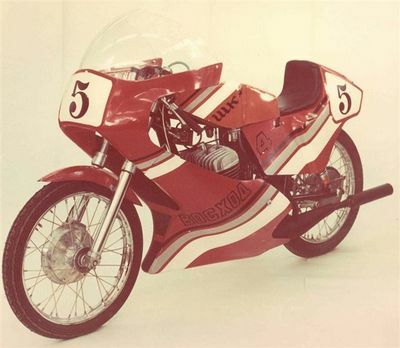 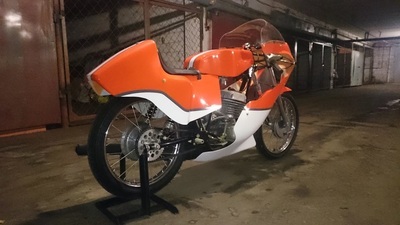 The last racer type Sh-K* from 1984 featured better looking bodywork with a new tank shape. 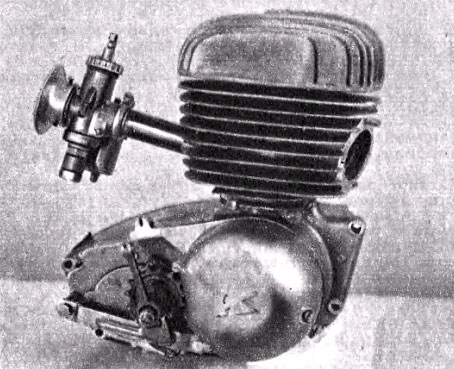 On this type the engine had a reed valve intake ,instead of piston porting. 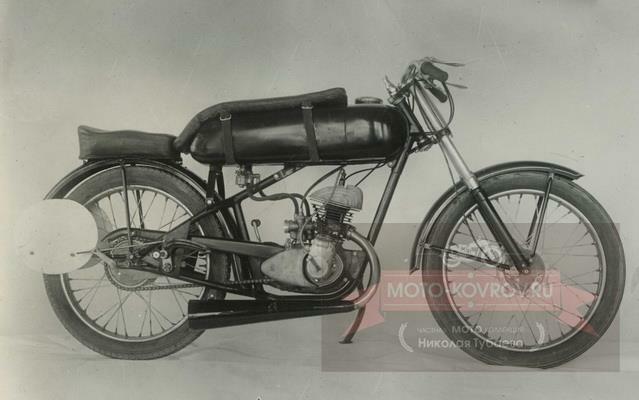 Throughout the years the basic parts like fork ,frame layout ,gearbox ,and the horrible brakes always remained the same. This due to the fact that the 175 class was strictly reglemented on these parts. 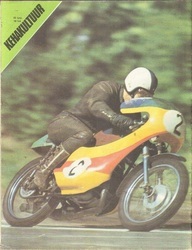 175cc was very popular as "womans racing class" ,the girls had their own races.